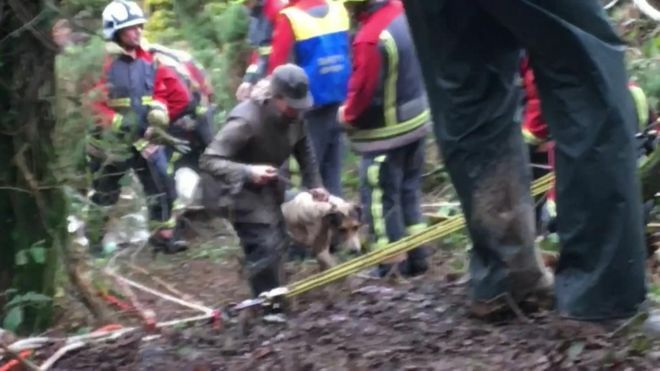 Five hunting hounds trapped 20m (66ft) down a mineshaft for four days have been rescued by firefighters. Six dogs from the Four Burrow Hunt went missing in the St Allen area, near Truro, Cornwall, on Saturday, a hunt member said. 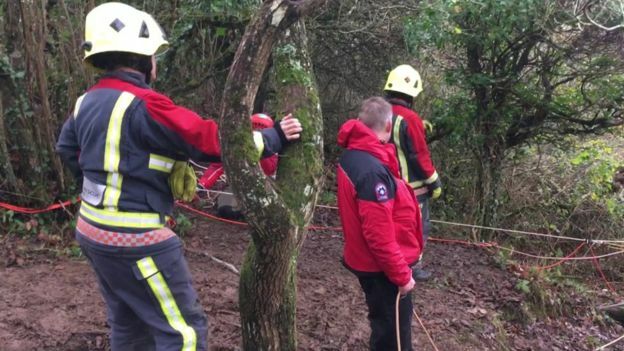 One of the hounds died and one of the rescued animals is thought to be seriously injured. It is believed the dogs managed to get underneath wire mesh covering a mine shaft after some erosion beside it.